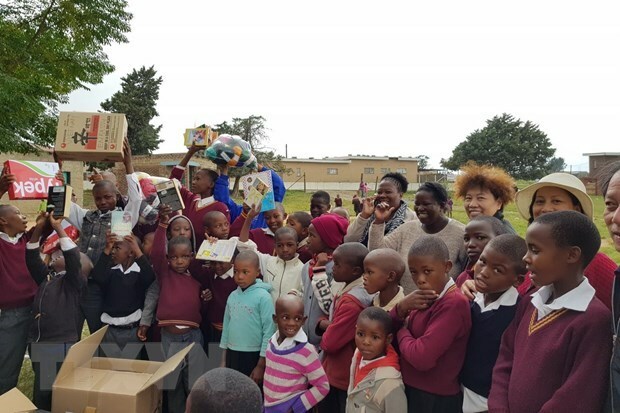 Pretoria (VNA) - A delegation from the Vietnamese Embassy in South Africa made a visit to and conducted a charity programme in Lesotho from March 24-29. This was part of annual activities of the association of spouses of diplomats’ in South Africa. The delegation visited and presented gifts to three disadvantaged schools in Lesotho. Besides, the delegation introduced Vietnam’s land and people, thus enhancing cultural exchange between the two nations.